I’m having trouble getting my post to show up here! Trying again: here’s my steampunk collage, on my blog. A wonderful and inspiring sample from Deann. Thank you for the Challenge. 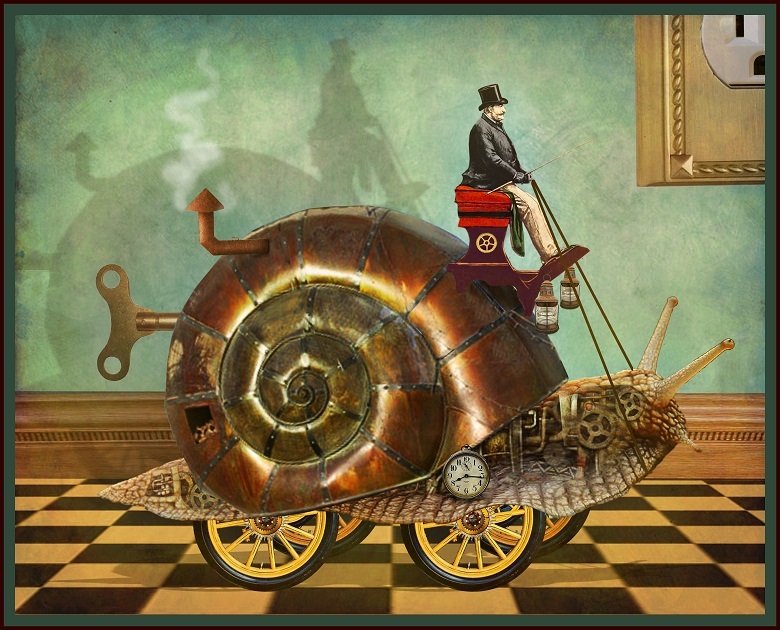 A snail’s pace . . . . … . . . . .. . . .!!!!!!!!!! Wow- everyone’s cards were awesome- Christine, if you see this- I could not get that captcha to work- So no comment on your blog- But I love your card!